The valley of Mindo is close to Quito and Santo Domingo. The means of transport are varied, economic and easily accessible. Mindo to Quito: 06h30 -11h00 – 13h45 – 15h30 – 17h00. Mindo to Quito: 06h30 – 11h00 – 13h00 – 14h00 – 15h00 – 16h00 – 17h00. Mindo is the last stop. 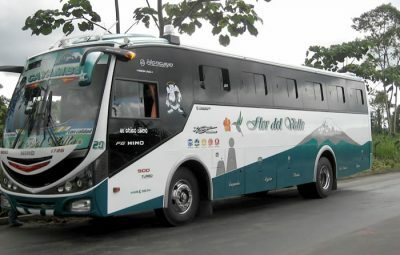 The bus stops at the office of the buscompany Flor del Valle. From there take a taxi to Cabanas Armonia (appr. Price $1). You can also go on foot, it is just 5 minutes. If you miss the busses above, you can still rearch Mindo by going to another busterminal. The name of the terminal is Carcelén. Once at Carcelen, ask for a bus to Mindo. Buscompanies going there are Kennedy, San pedrito and Aloag. It will take abour 2 hours, and you hop off at Y de Mindo. 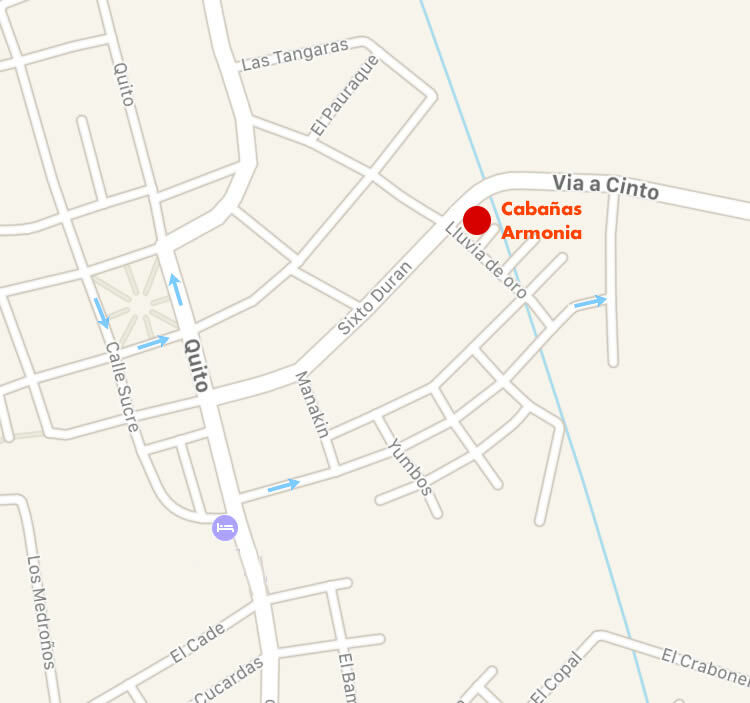 From this place take a taxi to Mindo (ask the driver to drop you off at Cabanas Armonia). Go to the mini terminal which is located in the Center of Santo Domingo. 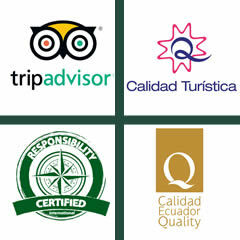 From this point you have two options; a company bus to Mercedes or to San Miguel de los Bancos. From here you can take a bus to Mindo or a taxi (costs appr. $ 8).